The Gimpel Fils Gallery will, this month, pay tribute to revolutionary photographer Corinne Day to mark the one-year anniversary of her death on 27th August. Using candid documentary-style techniques to capture provocative and often biographical images, Corinne came to define the 90’s aesthetic that rejected the high-gloss images of mainstream magazines. Dazed Digital: When was the first time you worked with Corinne? What was your first impression of her photography? My initial thoughts were that these were fairly shocking images, and that the people in them were very brave in letting their private lives be published in this way. “Diary” is full of very private moments but it was clear from the start that they were not voyeuristic - Corinne was not taking advantage or manipulating her subjects, but rather she was capturing something very real, and she was able to do so because this was a very tight-knit group of friends. DD: Can you tell us a little bit about how the exhibition came about? Alice Correia: The gallery’s exhibition programme goes in cycles; the last exhibition of Corinne’s work was in 2006. She was overdue a show, but had been too ill to work on a solo exhibition in the years before her death. Instead of making new work, the idea was to select works from the archive: to show works that had been out of the public eye for a while. In discussion with her husband it was agreed to schedule a show to open the new September season. DD: How were the works selected for the exhibition? Alice Correia: We wanted to tell Corinne’s story from the beginning and her first job as a photographer was at “The Face”. It seemed a logical step that the focus of the exhibition would be Corinne’s early work and four photoshoots from 1991-1993 were selected. The exhibition will include images published in the magazine, while the forthcoming book “Heaven is Real” will include unpublished images from the same shoots. DD: Can you tell us about Corinne’s desire to move away from typical, glamorised shoots in favour of more ‘organic’ images? What do you think her motivation to capture these types of images was? Alice Correia: Corinne grew up in a north-west London suburb at the end of the Metropolitan Line. She was acutely aware that the highly stylised images in the glossies did not reflect everyday teenage life- going to school, getting a part-time job etc- so she wanted to create images that would be familiar to people looking at them. Corinne had worked as a model in the 1980s. She knew first hand that there was an enormous gap between the lifestyles depicted in the magazines and reality, and she wanted to close that gap. To her, there was a great discrepancy between the aspirational images of beautiful people in the glossy magazines, and the reality of being an often poorly paid model who lives in a bed-site. DD: Corinne is known for her lasting relationships with the people she photographed. How did she work with her subjects to achieve this sense of personal involvement? Alice Correia: It wasn’t a case of “working with them to achieve sense of personal involvement”, but rather there was a personal involvement because there was a personal relationship. Corinne was friends with her subjects, and if you look across her career, she worked with the same models time and again because they were her friends. DD: The exhibition features Corinne’s early photographs of Kate Moss, who she worked with extensively – what do you think attracted Corinne to capture her so frequently? 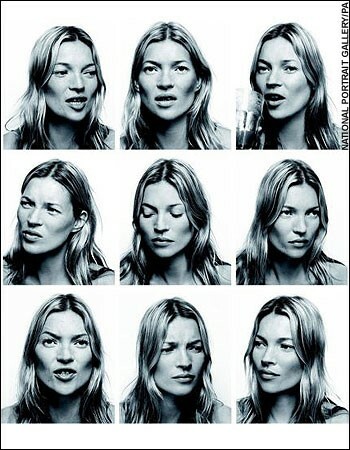 Alice Correia: Initially Corinne was attracted to Kate Moss because she saw something of herself in her. A short, cocky girl from the suburbs. As they got to know each other a friendship grew and per my answer above, Corinne liked working with friends; if the images don’t feel posed, it is probably because they were taken within an environment where work didn’t feel like work, because everyone was friends. DD: How do you think the images speak to today’s society? Alice Correia: Of course Corinne’s work will always draw a certain amount of attention because of who they depict, but beyond that, I think these images speak of a moment of teenage self-exploration; of a time when anything was possible because the whole world is at your fingertips. Even 20-odd years later, Corinne’s photographs of Kate Moss, George Clements and Rosemary Ferguson still have a freshness; Corinne rejected the ‘amazonian’ shoulder-padded look of the 1980s because is was fake; given the rise of fake tan, botox and plastic surgery in today’s media culture, there is something to be celebrated in images of natural look teenagers, be they skipping down an empty highway, rolling a spliff, or slouching around at home.